Reduce time and effort spent during due diligence using DealRoom. Easily manage deals with our tailored m&a project management software, and customize it to match your needs. DealRoom M&A due diligence software lets you track every part of due diligence from start to finish. Your data storage, diligence tracking, and communication tools are all on one integrated platform. 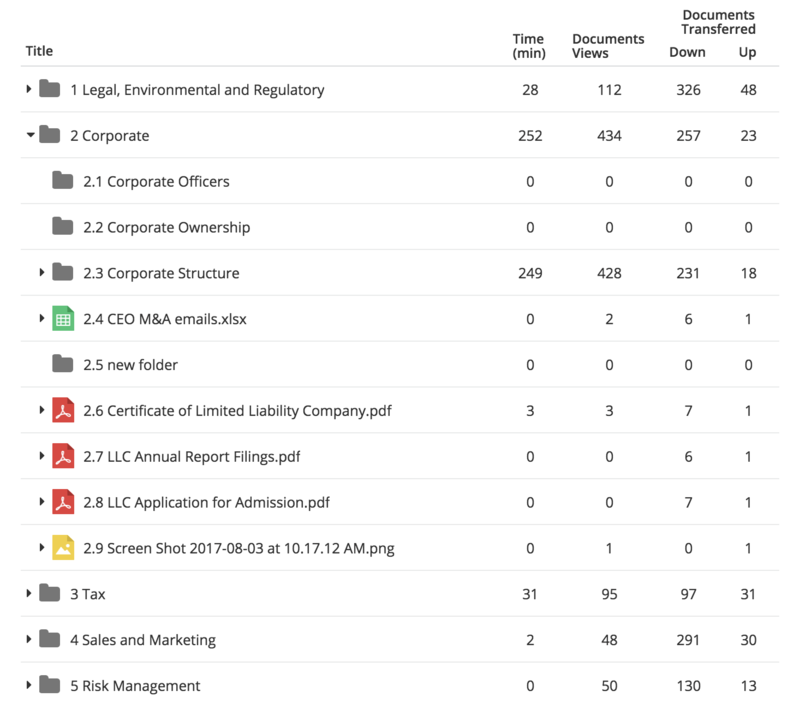 Upload documents, set file visibility, and assign tasks in minutes. 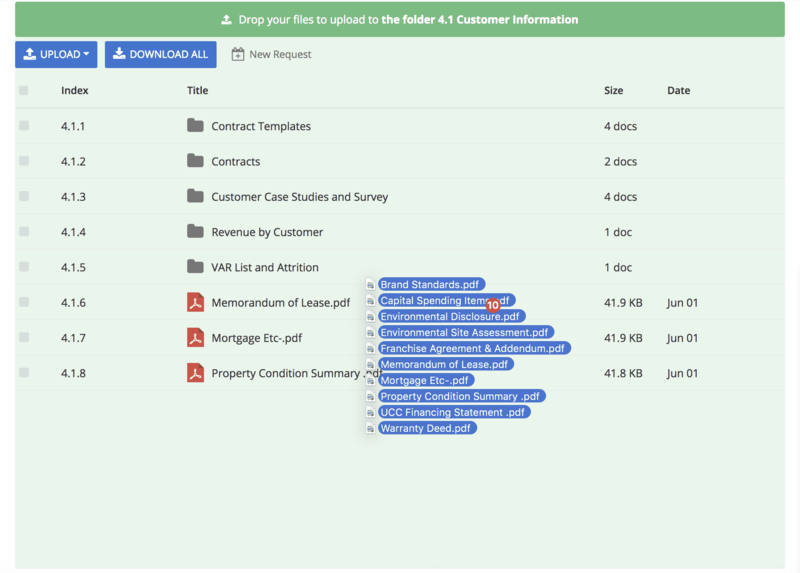 Effortlessly bulk upload documents and folders to get your due diligence started right away. Auto indexing keeps everything organized and easy to find. You can easily apply watermarks, and restrict viewing, downloading, and printing. 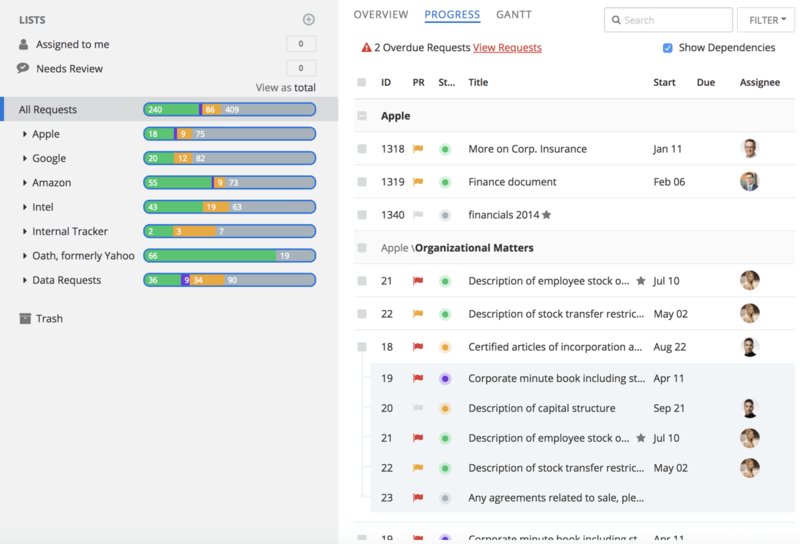 Quickly find the information or document you need by searching keywords or phrases. 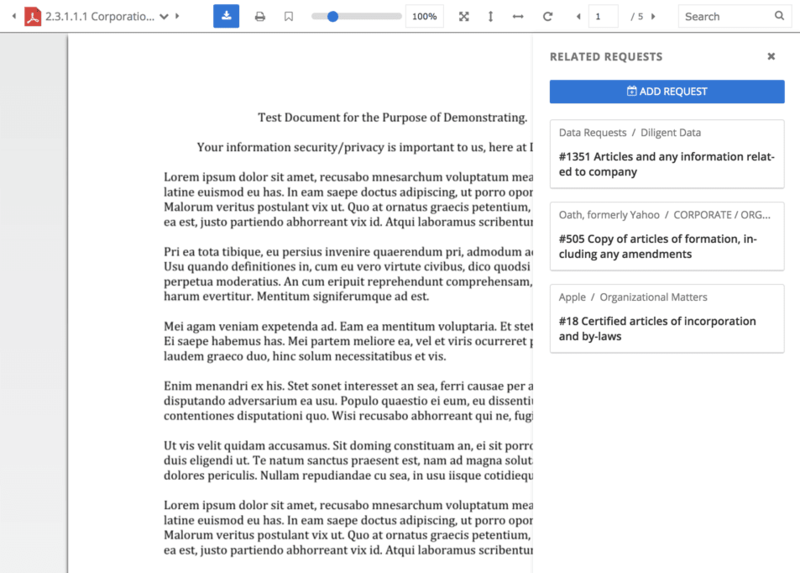 View related requests, or add new requests regarding the open document directly from viewer. 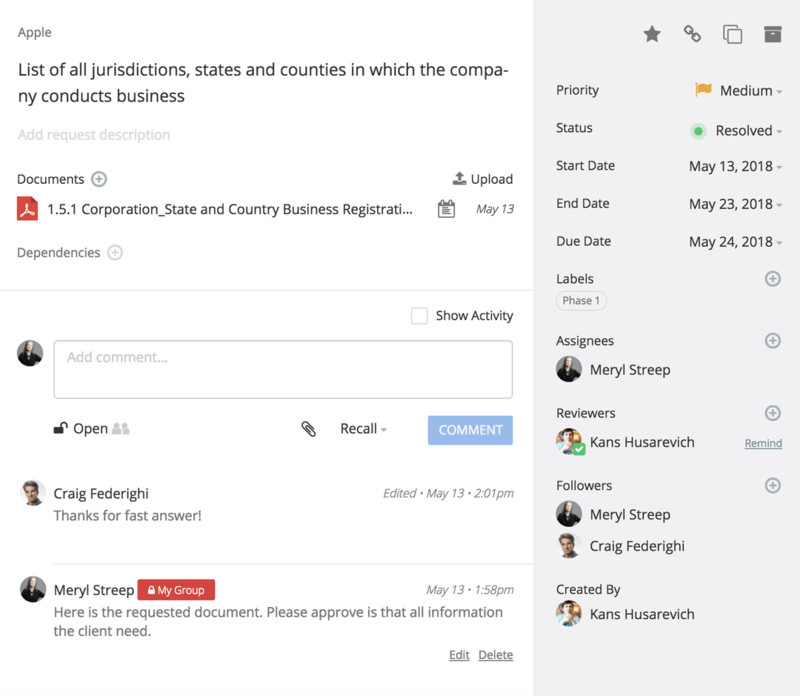 Streamline communications by eliminating the need for Excel trackers, emails and frequent meetings from the diligence process. 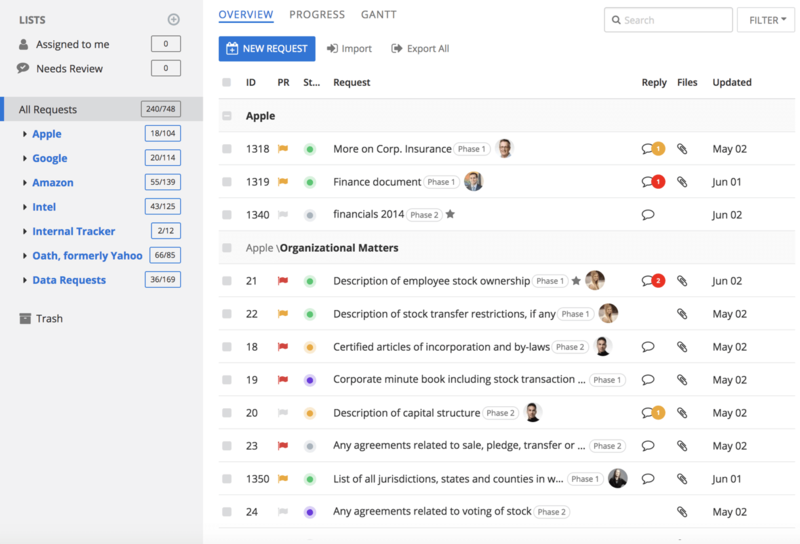 Organized request lists help you manage every part of diligence. Reuse Excel diligence templates in seconds. 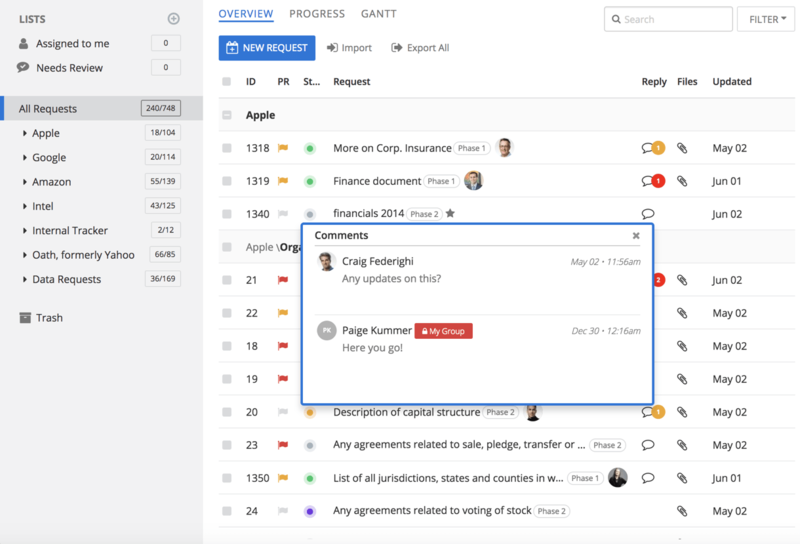 Be in touch with your team and view new comments to requests. Add custom labels for diligence organization. 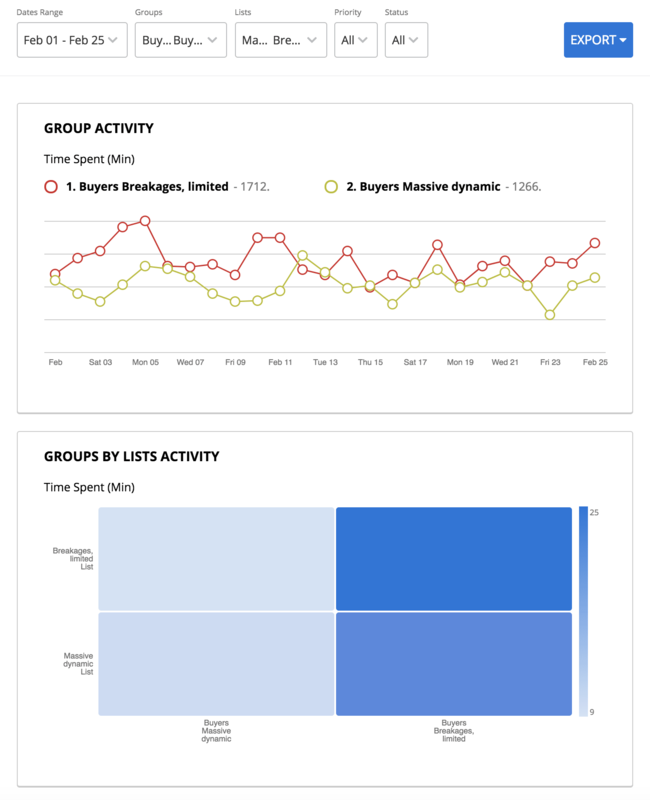 DealRoom analytics give a bird’s eye view of every aspect of the deal and enable simple reporting. 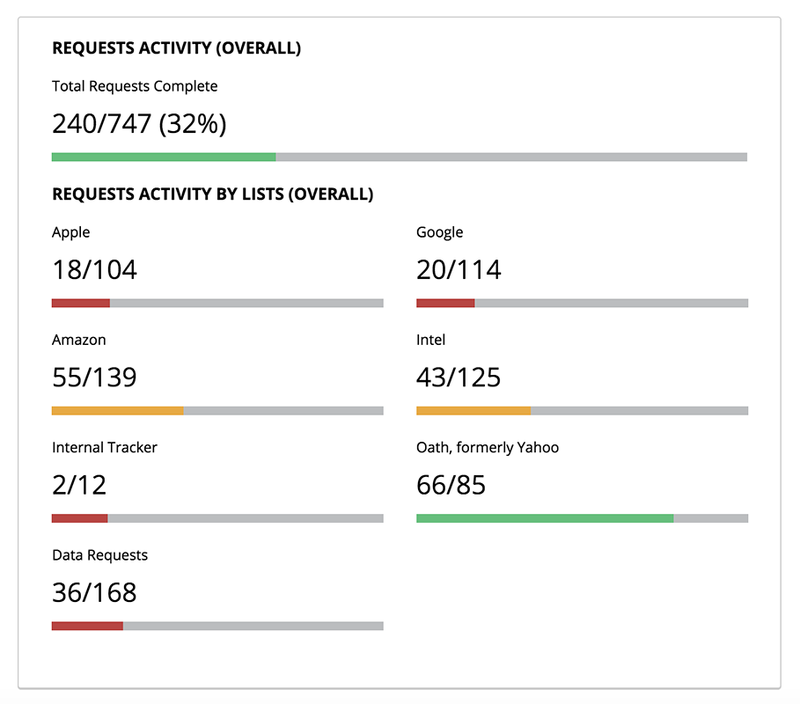 Track the progress of requests over time and monitor requests flagged as high risk or priority. 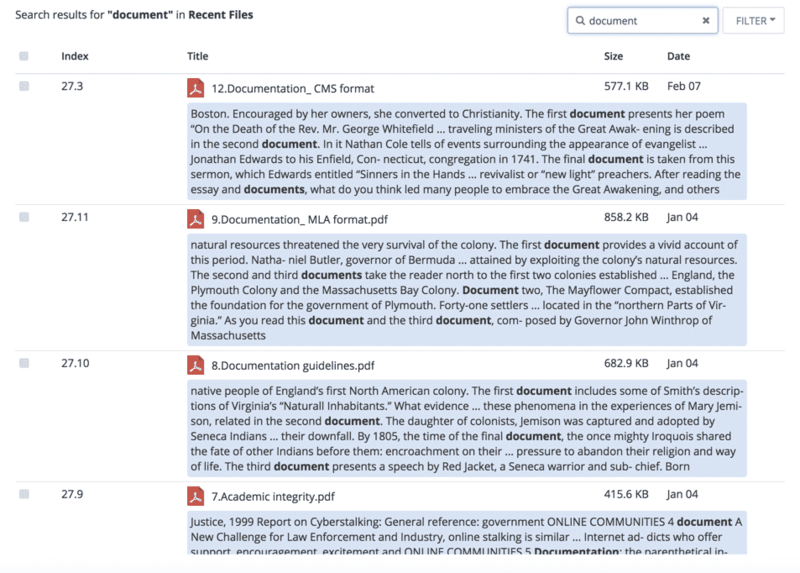 See who viewed what documents and when, as well as who downloaded and uploaded files. 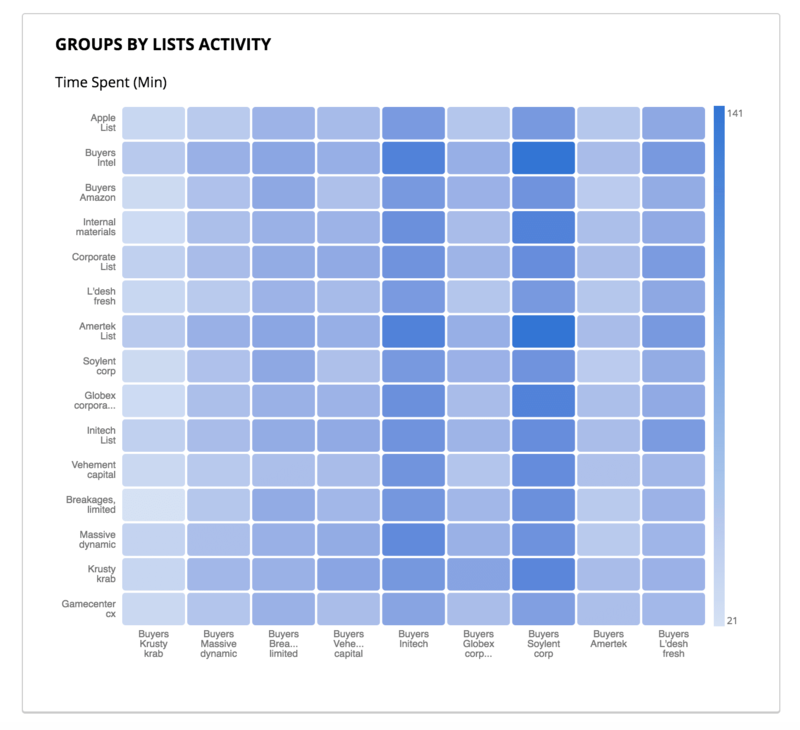 See which buyer is spending the most time reviewing specific diligence requests to get a better idea of their engagement level. Create a PDF or Excel report of the analytic data in just one click. 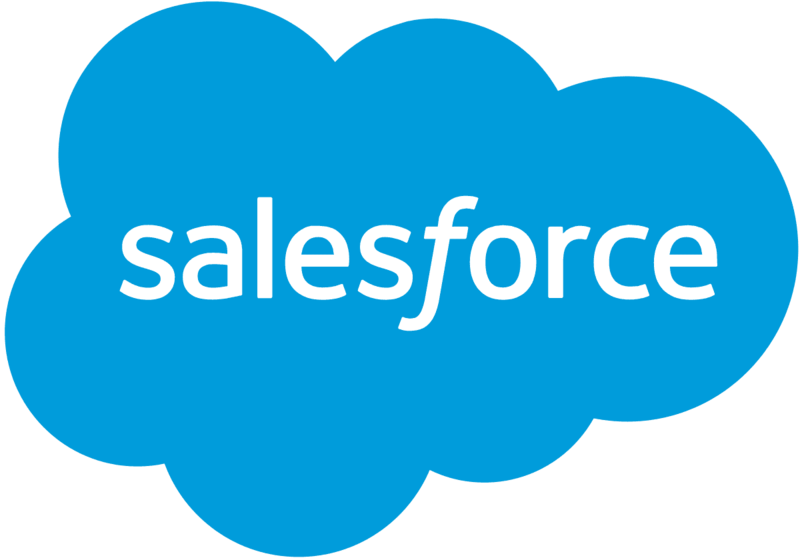 Say goodbye to answering duplicate requests. 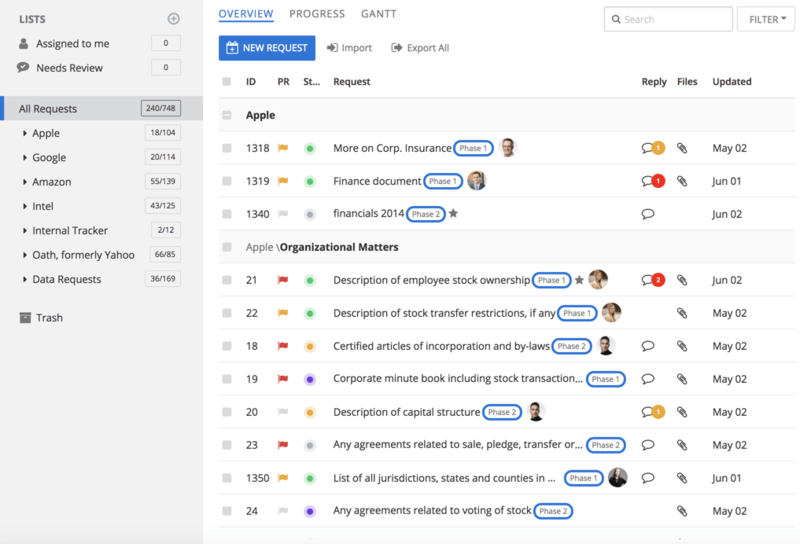 With the help of machine learning, the system pulls up previously related documents and responses. 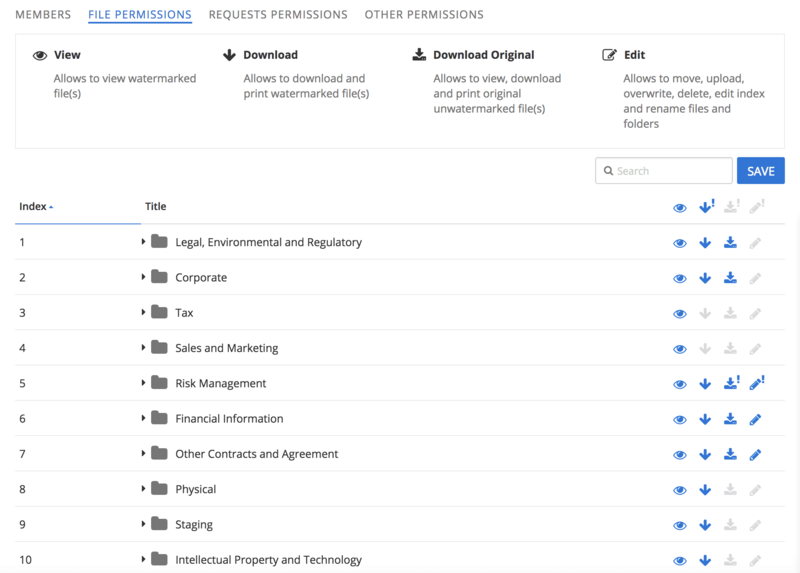 Confirm permissions for uploaded documents before they become visible. Save time by creating reusable templates for every new deal. Know where the integration roadblocks are and stay on schedule. 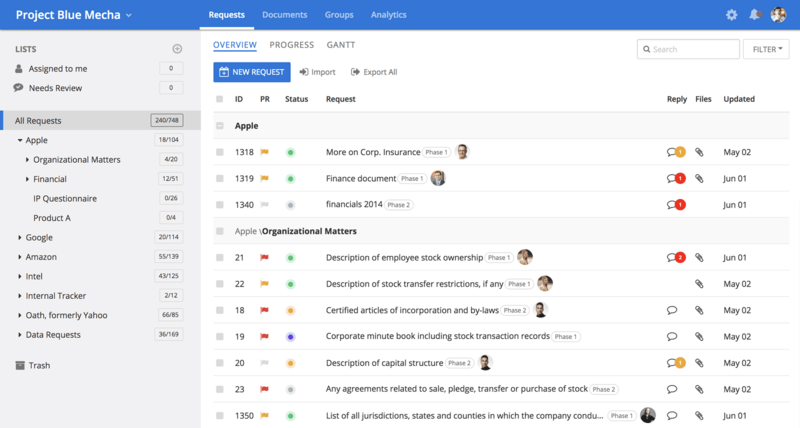 View a project’s status without scheduling a meeting or sending an email. 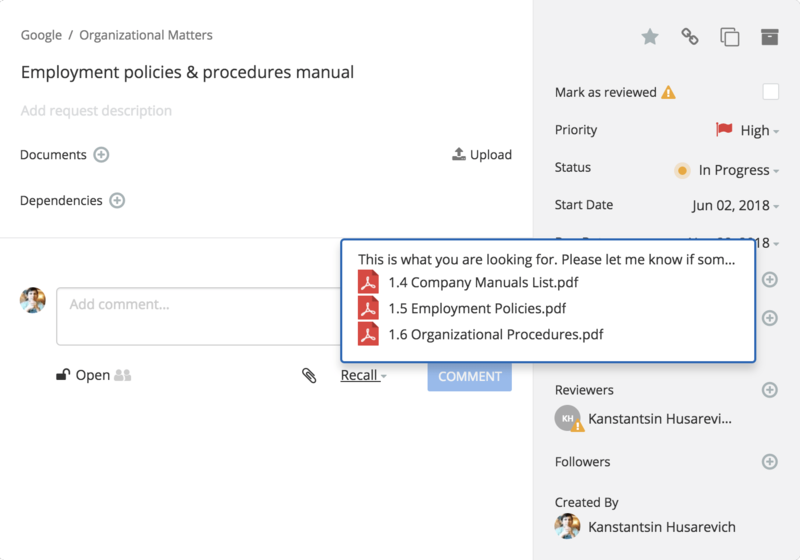 Upload documents to an individual request by simply dragging and dropping. Check and approve answers before they become visible to buyers. View documents and manage a deal from your phone or tablet. Track only real activity spent in a room. DealRoom can integrate with modern and useful tools to further create a central hub for collaboration and management across your deals. Get rid of information silos and simplify your M&A process. Save time, hit deadlines and reach your goals using Dealroom.